Stylish and multifunctional USB3.0 type-C hub with 7 type-A and 2 type-C ports including type-C to type-C cable. Acts simultaneously as a laptop mode. 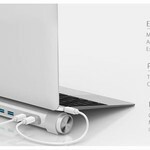 Do you have a laptop with type-C connection but no or few Type-A connections? 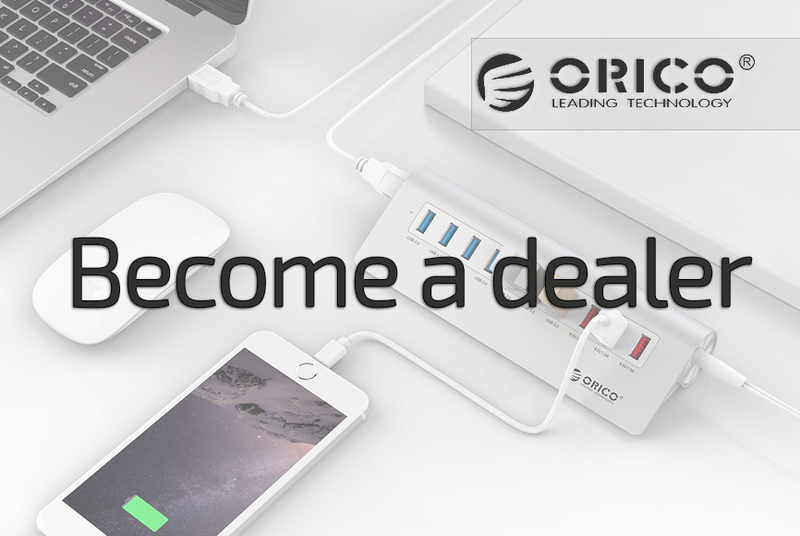 Then this USB3.0 type-C hub from Orico is for you. 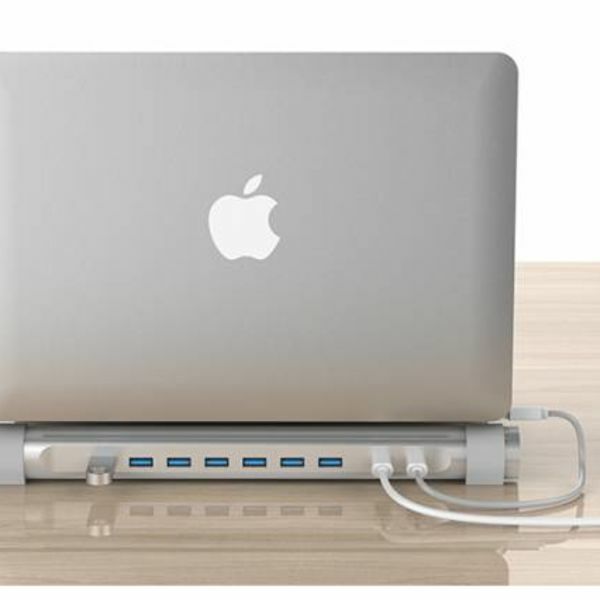 You can create seven type-A connections through this type-C hub and the included cable. This allows you to connect more peripherals, including a keyboard, mouse, printer, smartphone or tablet. The type-C hub of Orico is also equipped with two type-C ports. 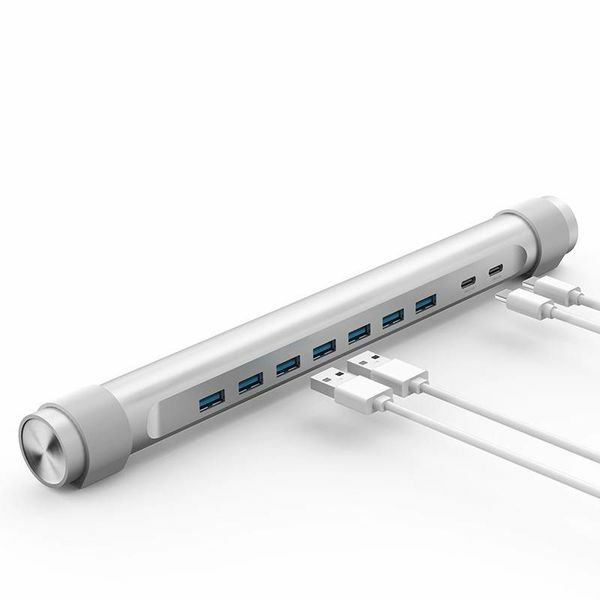 The Orico USB3.0 type-C hub has seven type-A ports and two type-C ports. One of them has Power Delivery. This makes it possible to synchronize and charge connected devices. The USB3.0 type-C hub can achieve transfer rates up to 5Gbps. This is ten times faster than the transfer rate at USB2.0. 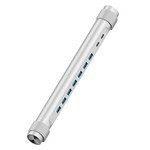 Backwards the hub is compatible with USB2.0 and USB1.1. 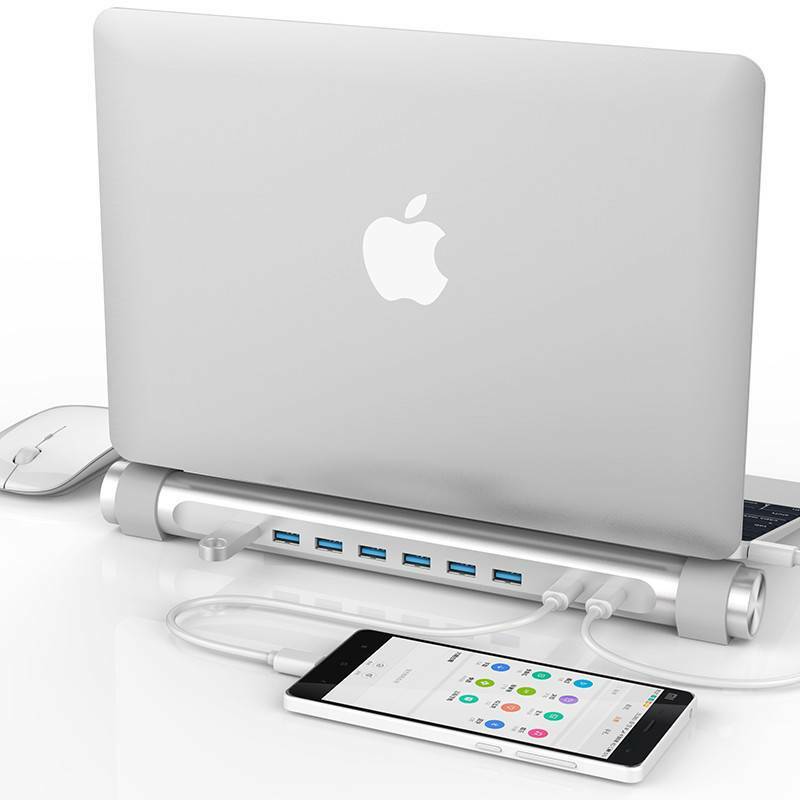 In addition to being able to easily extend your type-A ports with Orico's stylish USB3.0 hub, you can also use the product as a laptop stand. 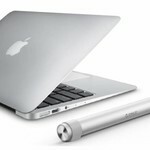 You can have your laptop supported on the hub, putting it at an angle of 18 degrees. The work efficiency is improved because the laptop stays cooler. at the hub two sets of rubber bands are supplied in the colors gray and blue. 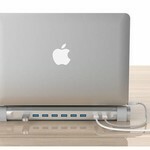 By placing these straps around the hub, it stands securely on a desk or table and the laptop that supports it has enough grip. The Orico USB3.0 hub with seven ports supports systems such as Windows XP / Vista / 7/8 / 8.1 / 10, Mac OS and Linux. The hub is compatible with many devices, of which a smartphone, card reader, USB stick, hard disk and printer are examples. 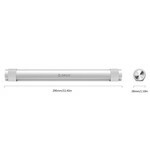 Thanks to the built-in multi-security system, the use of the hub is safe. Overvoltage, overheating, leakage current and short circuit are excluded. 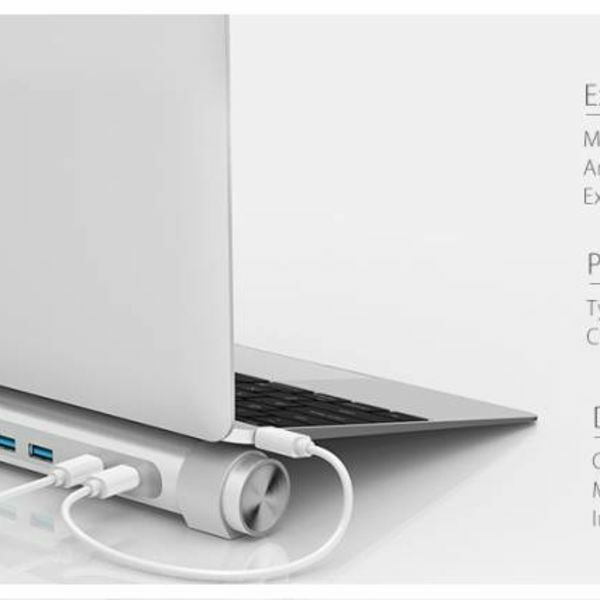 Both the hub and the connected USB devices can be safely used with confidence. 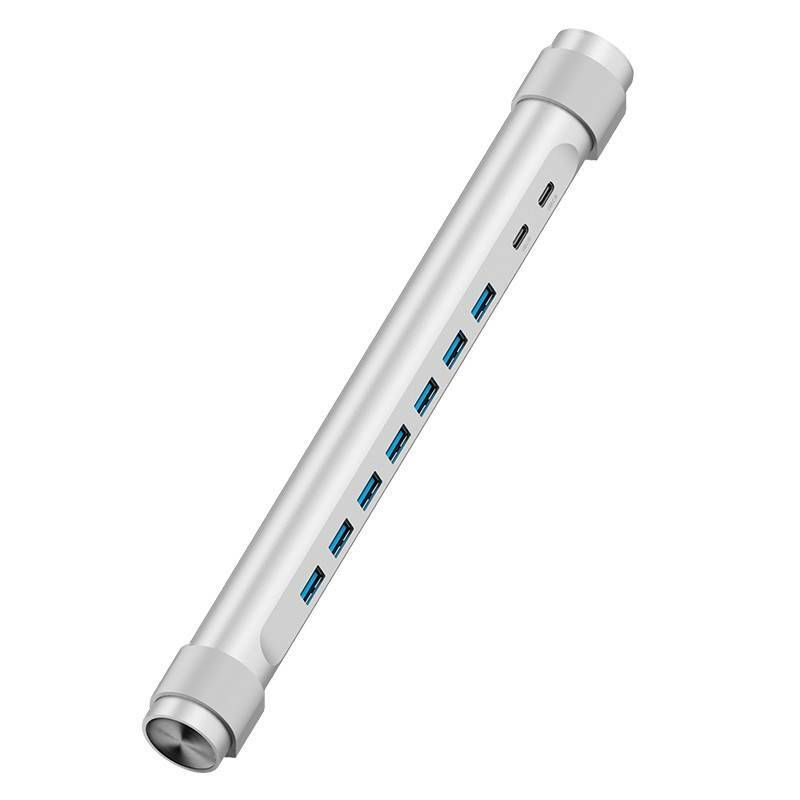 ✔ Output: 7x SuperSpeed ​​USB3.0 type-A, 1x type-C.
✔ Supports: Windows XP / Vista / 7/8 / 8.1 / 10, Mac OS and Linux. 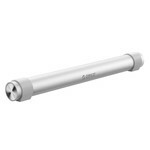 ✔ Compatible with a smartphone, printer, speaker, mouse, tablet and other digital devices. ✔ Acts as a laptop stand. ✔ Cable length: 0.5 meters. 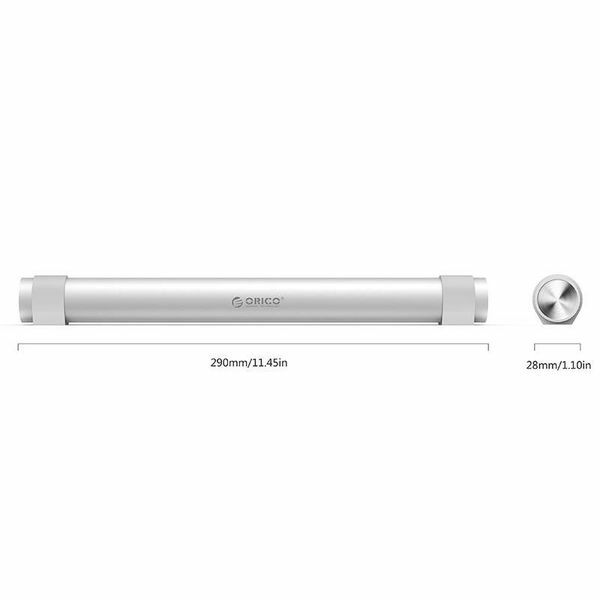 ✔ Product dimensions: Ø29mm x 290mm.